Most Wireless routers is box-sized layout and will your sit in your desk or room corner. But WL-330NUL is claimed as the world’s smallest full wireless network sharing router by Asus. The Device looks like a USB Drive and Weighs less than only 25 g. This new device was introduced at the Consumer Electronics show 2013. You will get this small router in your hands very soon. 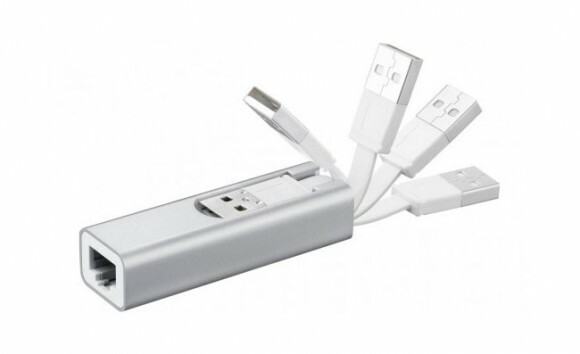 The Asus WL-330NUL weighs just 25 grams and looks more like a USB stick than a typical router and the device supported 802.11b/g/n Wi-Fi connectivity, supports various security protocols, and was designed to connect to computers via a USB connection. This USB Wireless Router is capable of receiving Wi-Fi and sharing wireless hotspots with other users via the integrated Ethernet port Also this device doesn’t require a seperate power connection either. Asus didn’t offer more details about this pocket router. As of now the pricing and availability details are yet to be known. Though you can put your pre-order for this ASUS WL-330NUL in Expansys for shipping on February 14. Expansys says you can cancel at any time with no cancellation charges. This device will be useful for frequent travelers who can share their wireless hotspots with others.